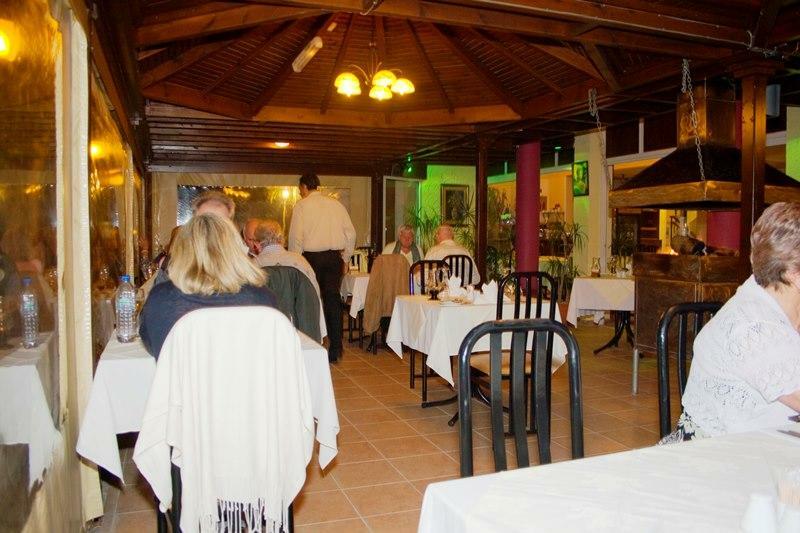 Just off Poseidonos Avenue you will find this highly rated on Trip Advisor restuarant. 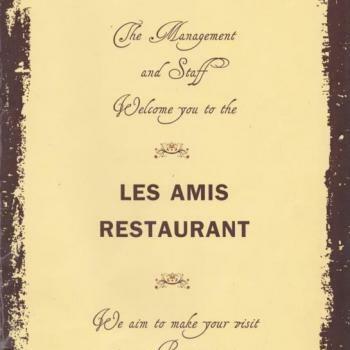 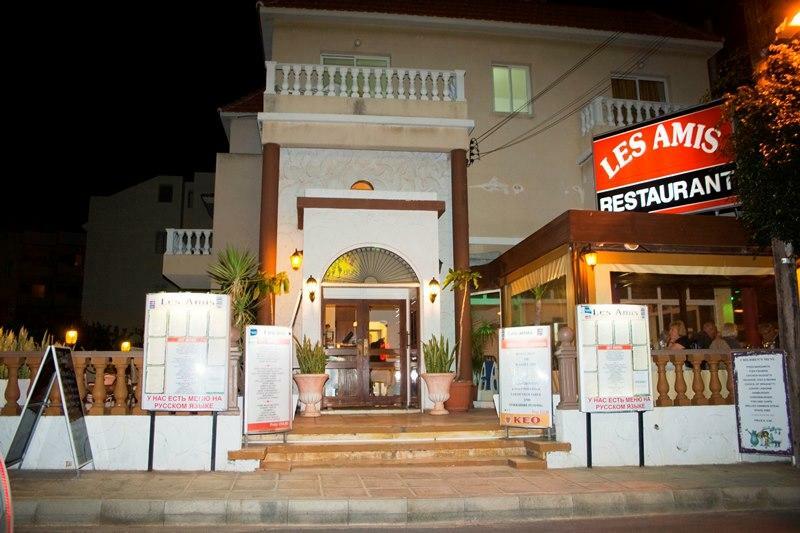 With a quality menu, local produce and the best of service Les Amis will serve you well. 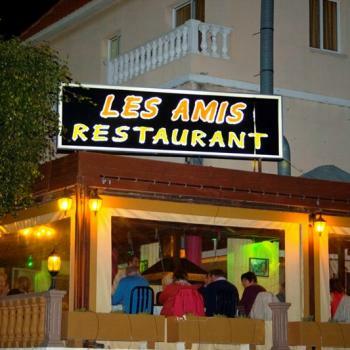 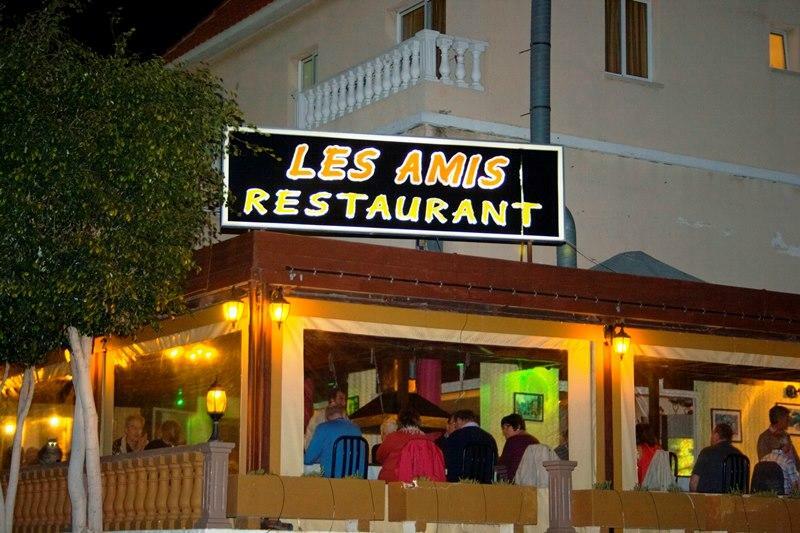 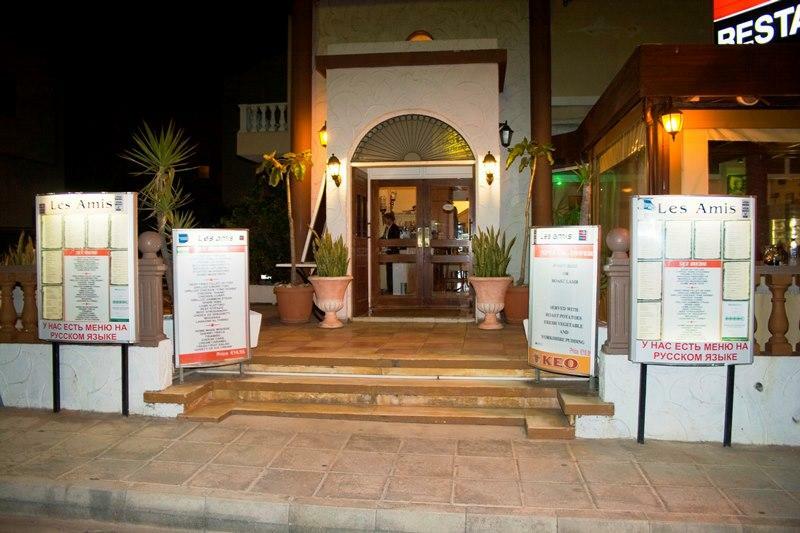 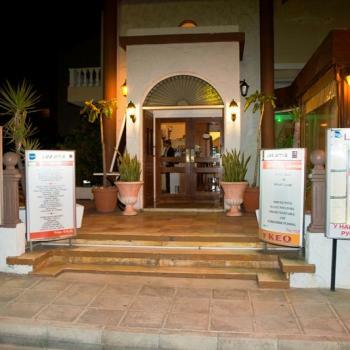 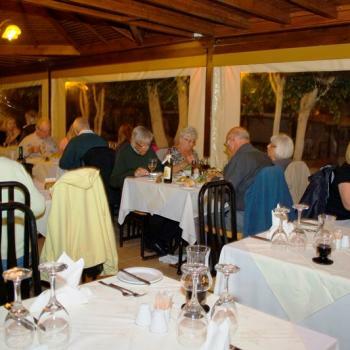 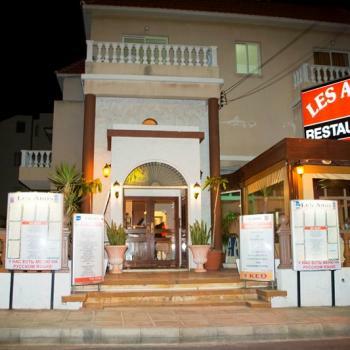 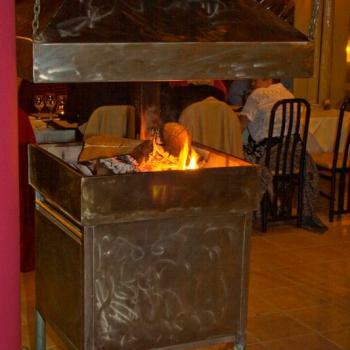 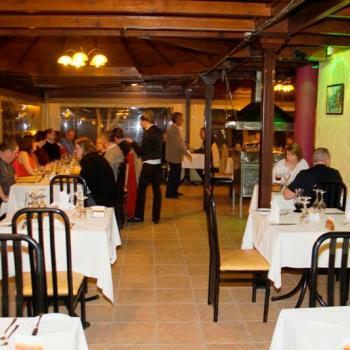 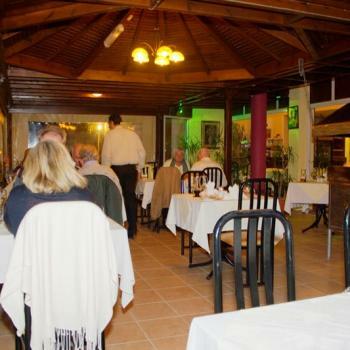 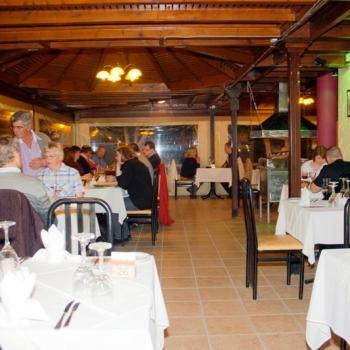 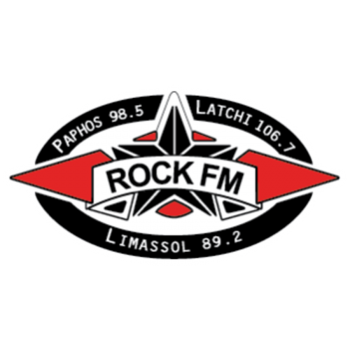 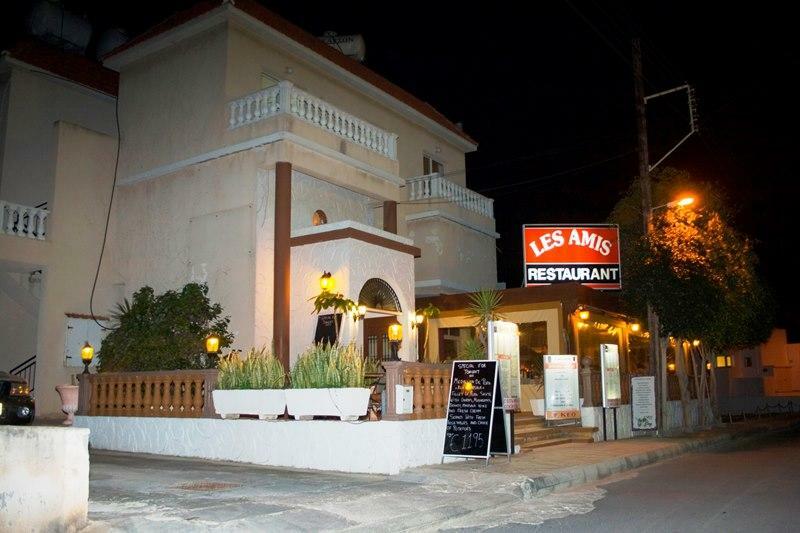 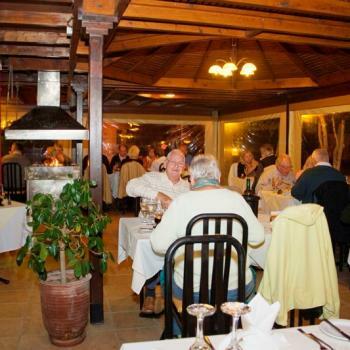 The Les Amis restaurant in Paphos is one of the hightest rated restaurants in the Paphos area. 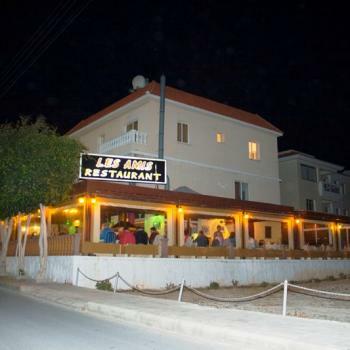 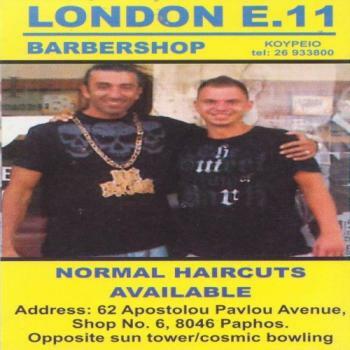 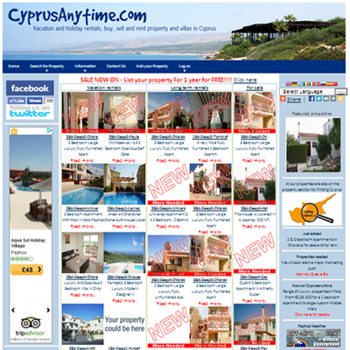 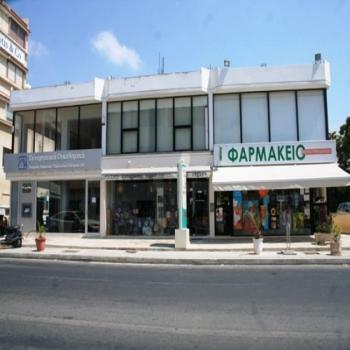 It is situated just off the main sea front near the Alexander the Great Hotel. 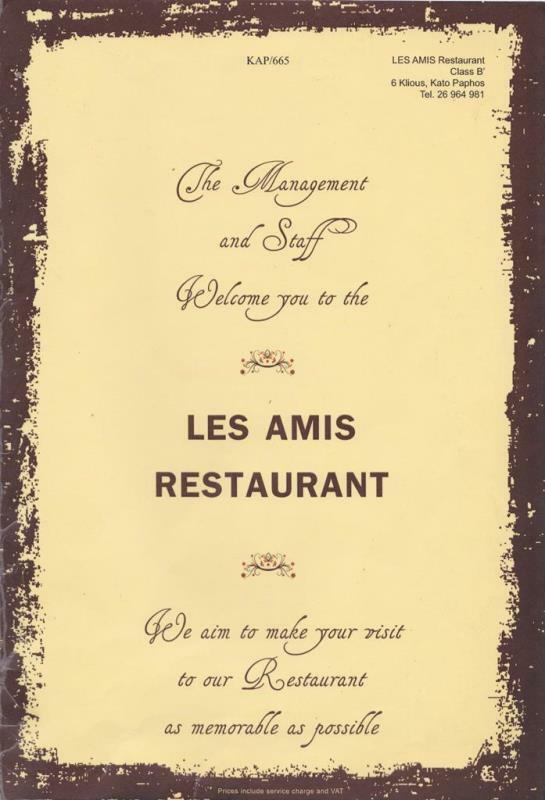 After many years in business and still part of a small family run group of restaurants the Les amis has served many happy customers who return year after year and each year they add new cutomers to what become good friends. 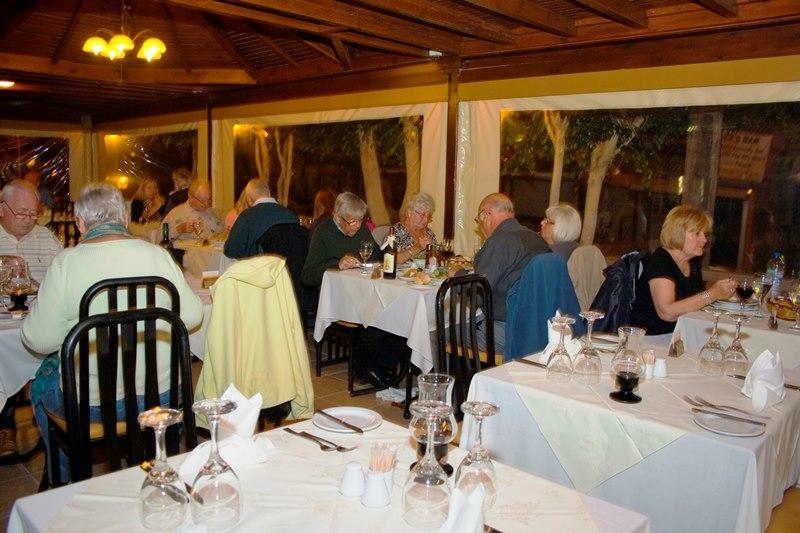 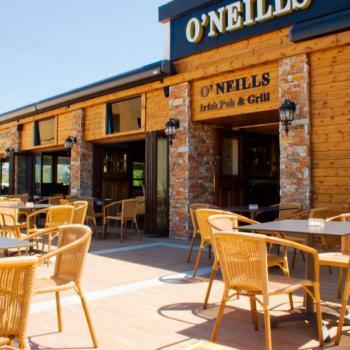 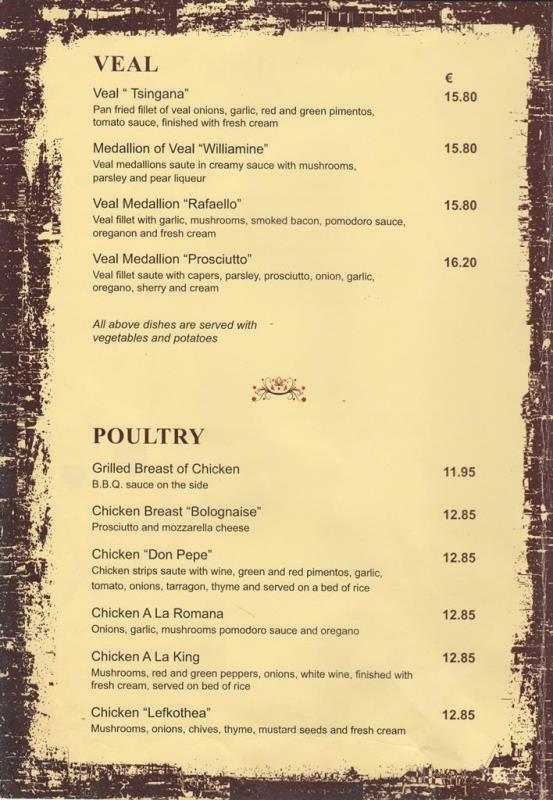 There is a extensive menu using the finest local where possible ingredients and all home cooked. 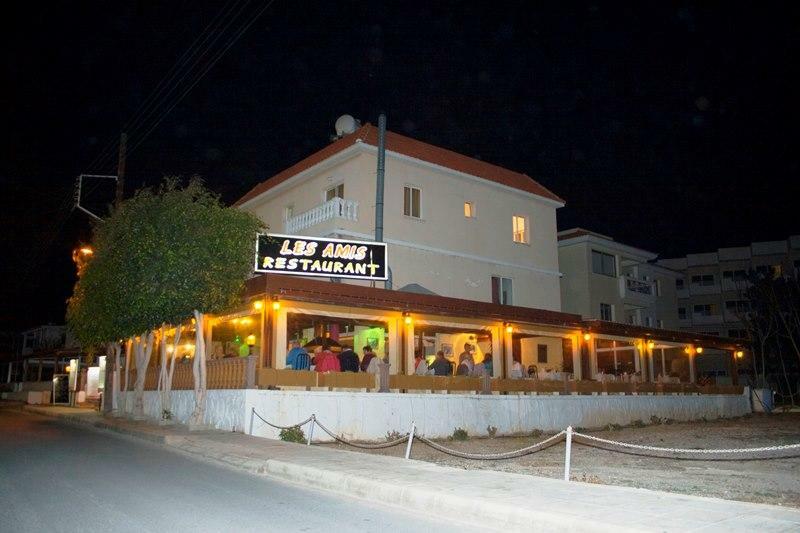 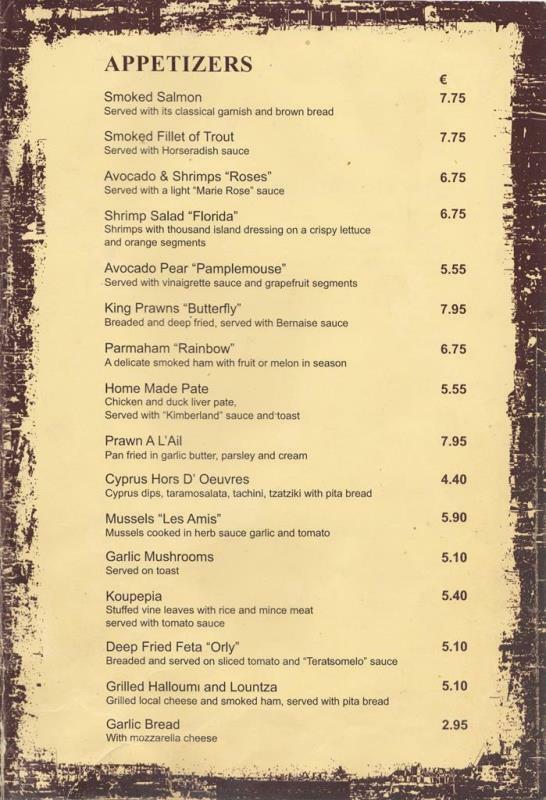 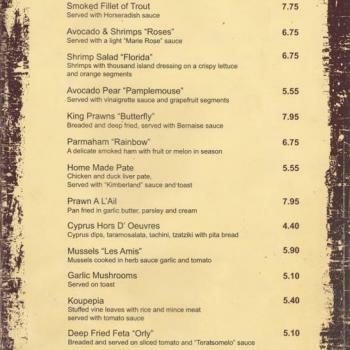 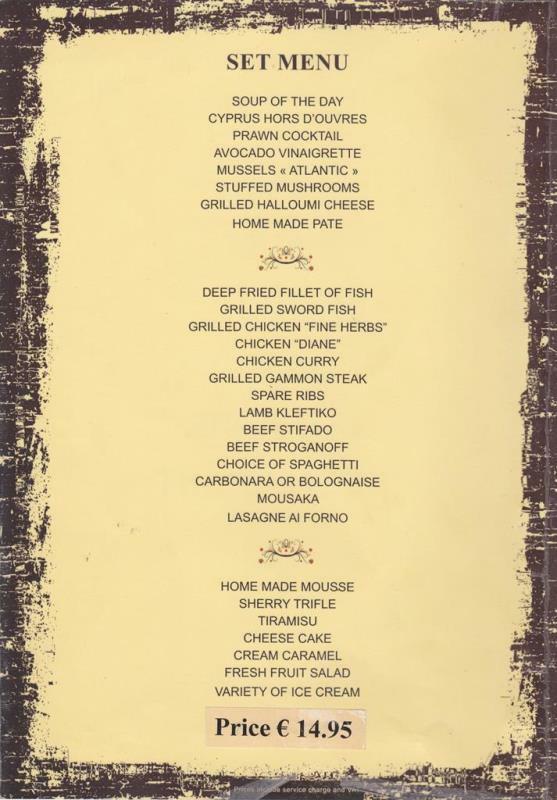 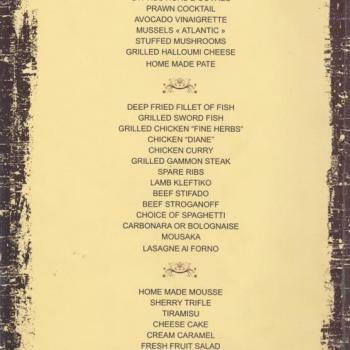 The menu includes many of the local Cypriot dishes you would expect in paphos and includes a range of international dishes and some "Les Amis" specials! 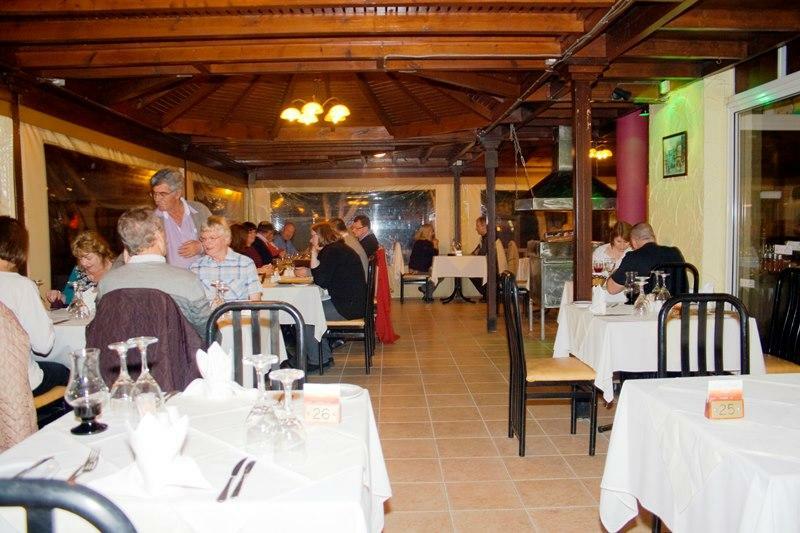 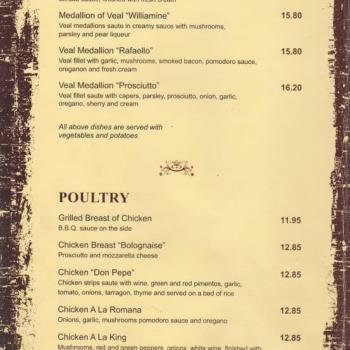 There is salads, fish, Veal, seafood pasta, poultry and vegetarian dishes. 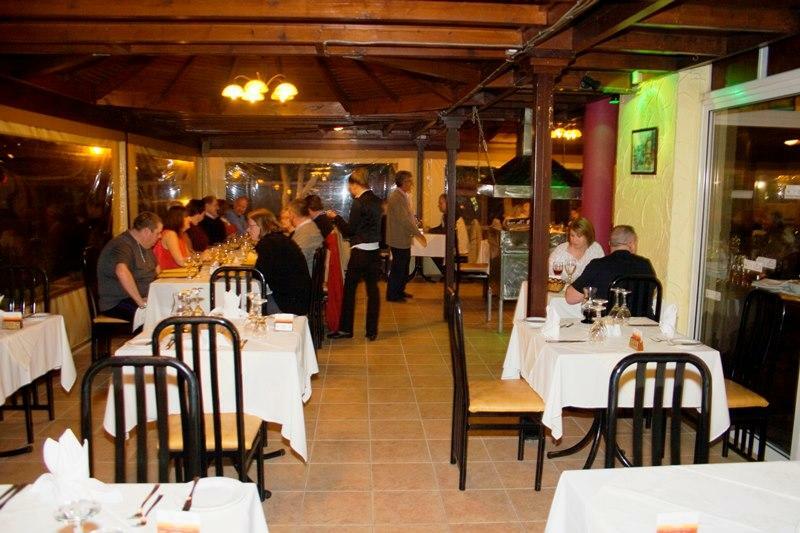 And of course some great desserts, wines and beverages. 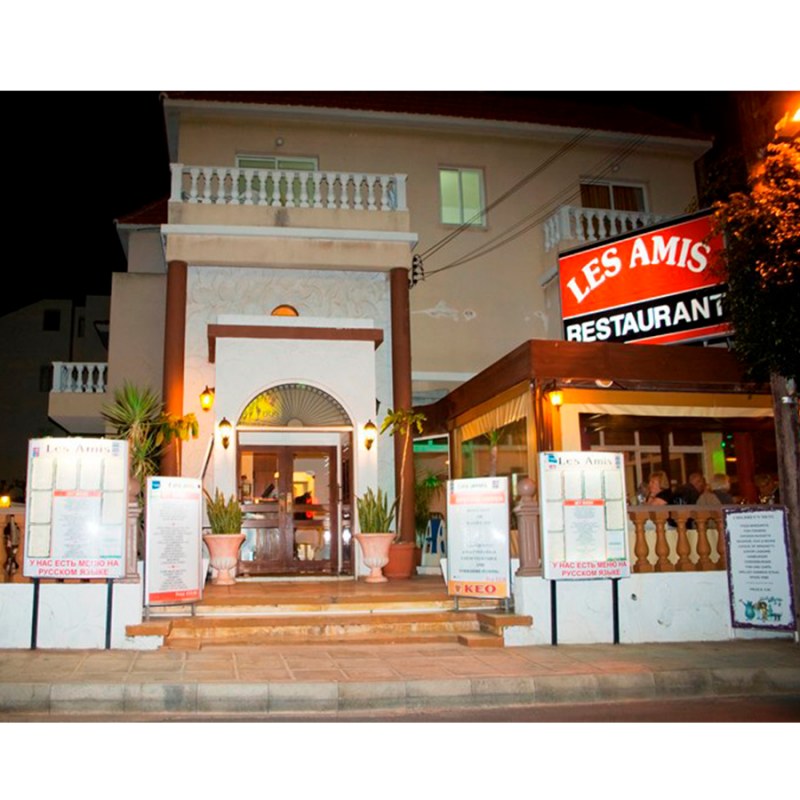 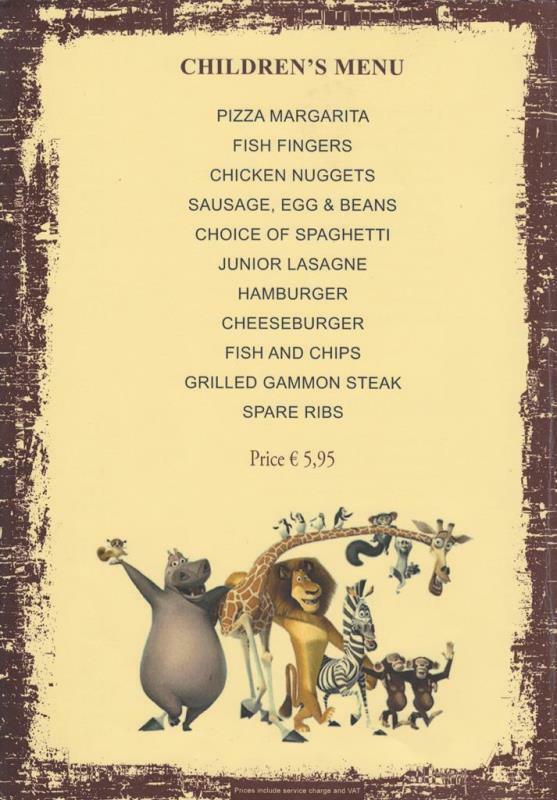 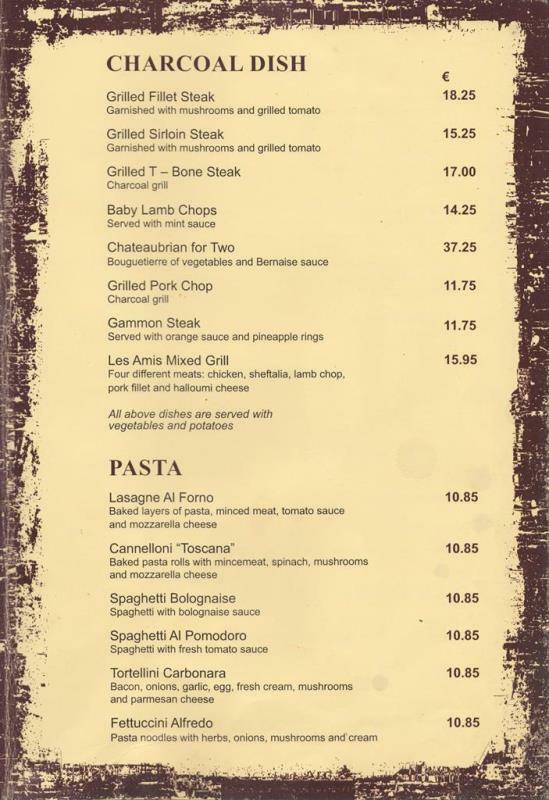 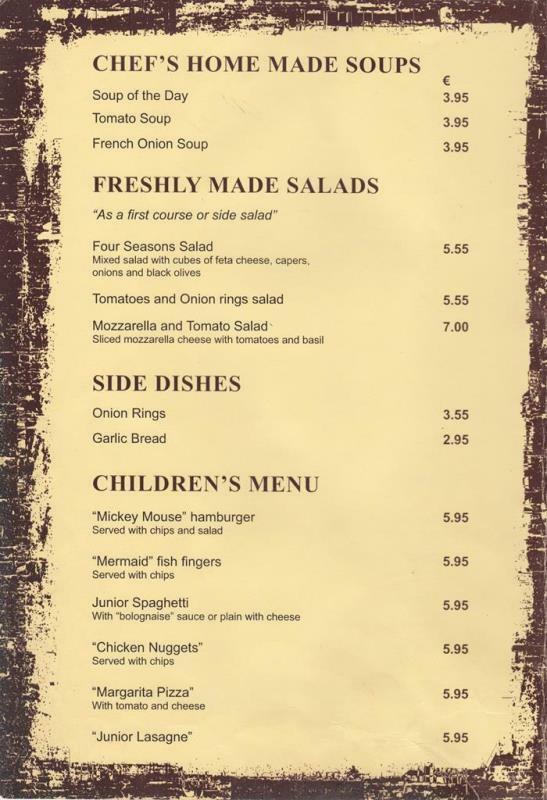 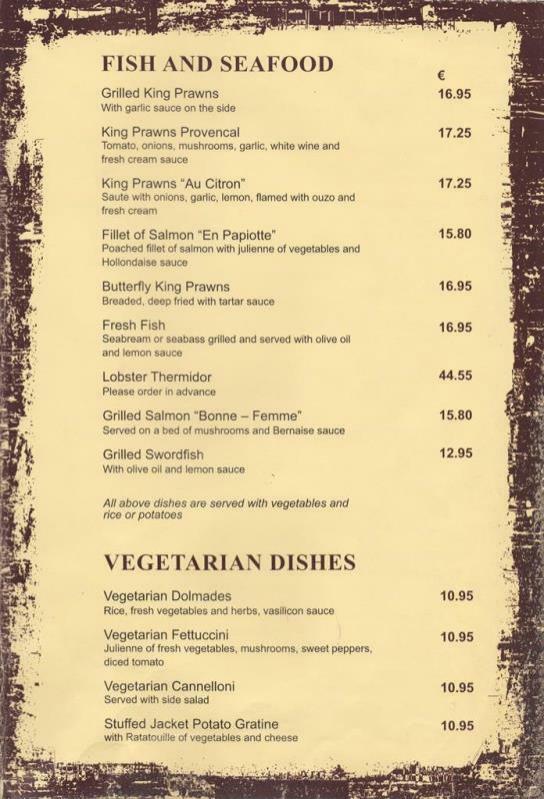 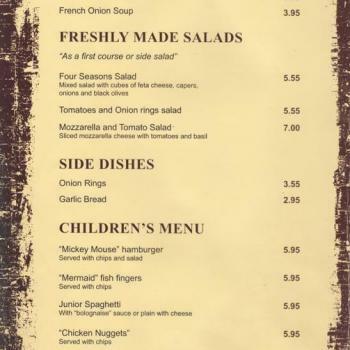 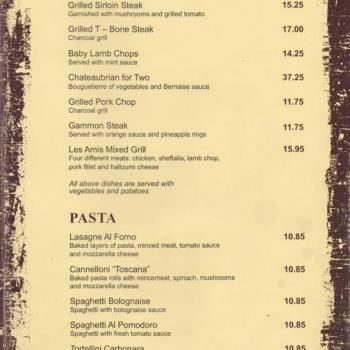 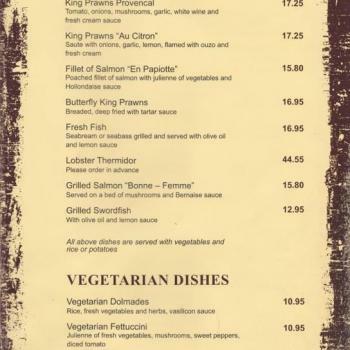 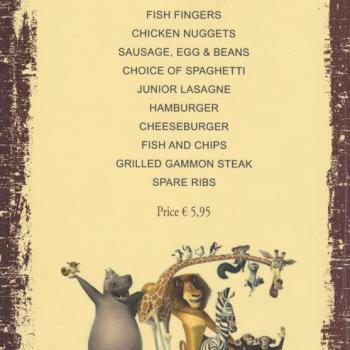 The Les Amis also has a great value set menu and a special menu for children who are more than welcome. 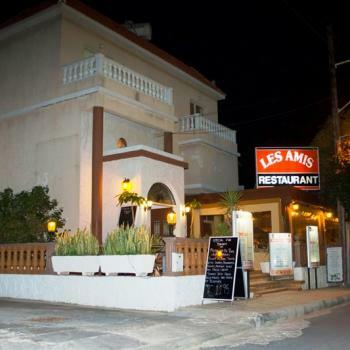 The Les Amis, apart from a short break in the winter is open every evening from 6pm. 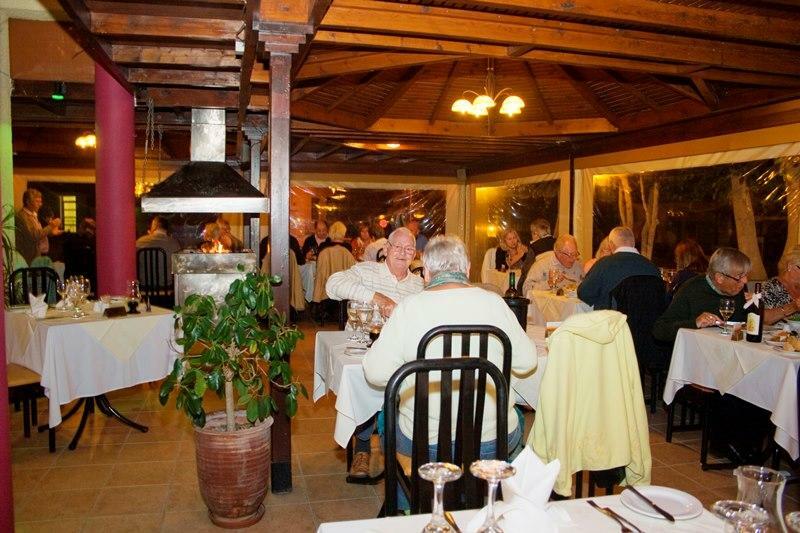 In the summer the sides are open and you can enjoy the ambience of the weather in paphos. 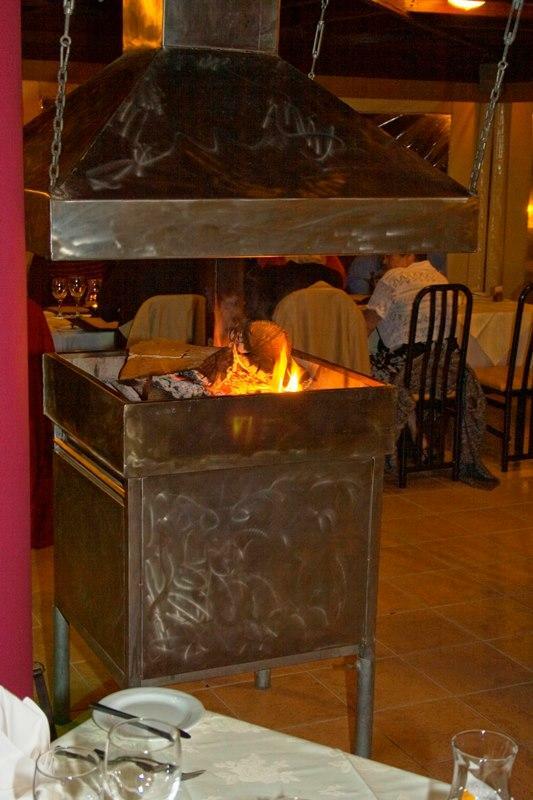 In the colder times they have a lovely real fire when it is cooler.